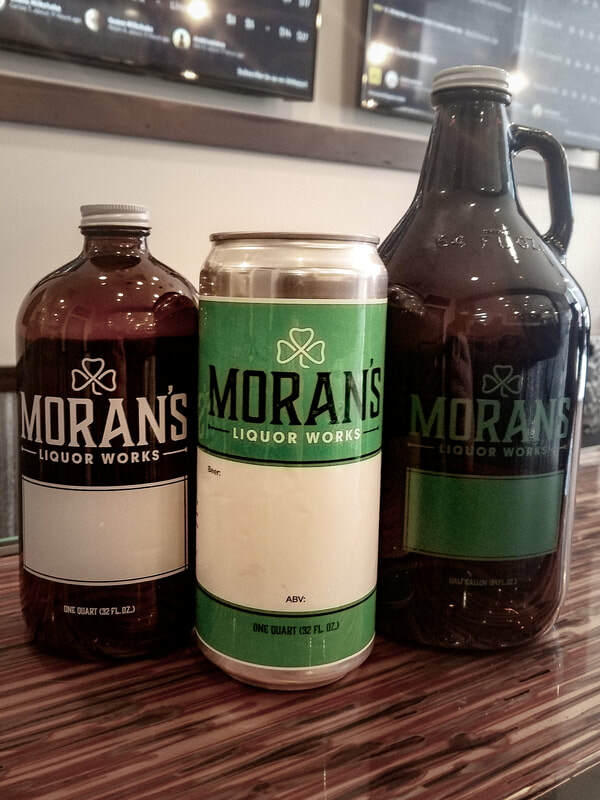 At the back of Moran's is a quaint little space we like to call The Growler Shop & Tasting Room. It is a space you can enjoy a pint of Craft Beer, glass of wine or a fine whiskey. It is perfect for afterwork, date night or just to relax with a friend old or new. As well The Growler Shop is the host of many special events from Meet the Brewer to Beer and Cookie Pairings. We always have the newest beers to hit the market and every visit is a NEW experience. ​Check below for more on what you will find! The Growler Shop & Tasting Room offers fine Whisk(e)y as well. 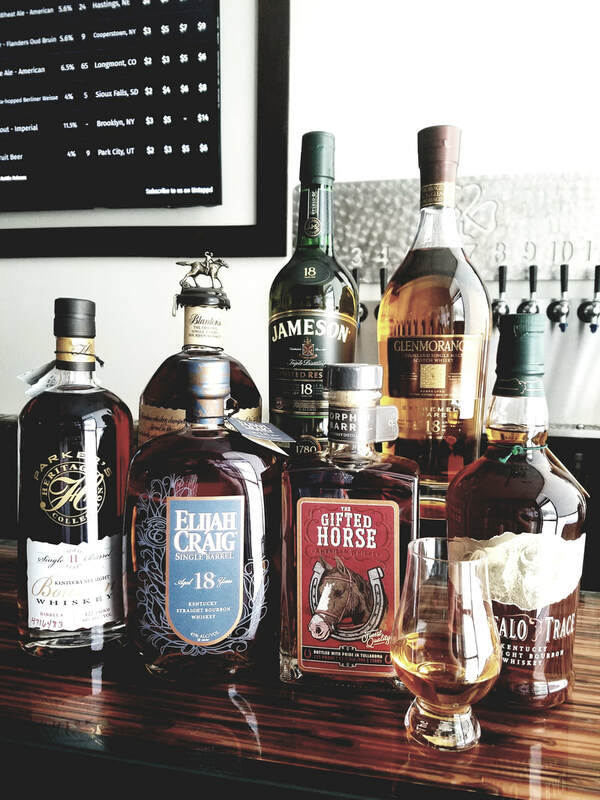 From rare Bourbons, Ryes, Irish and Scotches. Served neat in either a half pour or full. Try a Flight from our menu or customize your own. The Growler Shop & Tasting Room also offers Wine to be enjoyed during your visit. Choose from a selection of fun and tasty cans of Chardonnay, Pinot Grigio, Pinot Noir, Rosé and more. Share a bottle of one of our favorites on the menu or select any from The Bottle Shop (corkage will apply). If you don't finish it can be taken home in a to-go bag as well.